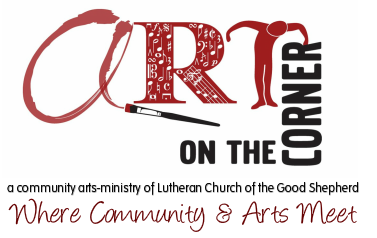 Art on the Corner is thrilled to bring the sounds of Arabic and Flamenco music (and dancing!) to our corner in Bay Ridge, Brooklyn, in celebration of the diversity that thrives in our corner of New York City. As this is Art on the Corner's annual fundraiser concert, proceeds from the event benefit Art on the Corner programming efforts. In addition, Art on the Corner will donate a portion of the concert proceeds to support the Karam Foundation, a non-profit organization that provides emergency aid to families under siege in Syria in the form of basic food supplies, infant formula, and winter relief -- wood-burning heaters, wood to burn, and heating fuel. This event is especially dear to us at Art on the Corner, as Zafer Tawil, a renowned virtuoso, musician, composer, performer, and member of New Andalucia, resides in Bay Ridge! In 711 A.D., Arabs crossed Gibraltar into Iberia and for the next eight centuries a tremendous exchange took place. Great minds, ideas and art crossed the strait of Gibraltar (Jabal Tariq) back and forth and created a rich mix that transcended the boundaries of religion, ethnicity and language. It is in this esthemus, this land in between, that giants such as Averroes, Maimonides, Alfonso El Sabio and Zyriab emerged. Thirteen centuries later, six musicians and dancers, who have been working together for a decade, strive to recreate this era through their music as immigrants in New York City. Both the time and the place of this encounter are significant as New York becomes the New Andalucia with an afternoon of convivencia. If you've previously attended AOTC events, seating was general admission. 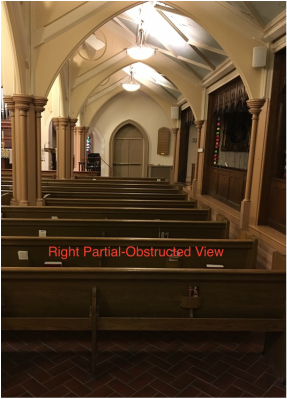 Seating for this event is reserved seating. When you purchase your tix, you will be assigned a seat that you may keep, or choose another. ​For more information about tickets or the event, contact the office at Good Shepherd, 718-745-8520, or email artonthecornerbr@gmail.com. Tickets are $30 pp for Center seating, $20 pp for Side seating. Click on the link to the right to purchase your tickets now via Brown Paper Tickets. Once on the BPT site, if you have a password, make sure to click on "Show Available Tickets" for access. Please note: English Evangelical Lutheran Church of the Good Shepherd will appear on your credit card statement. If you're not able to attend the event, please consider making a fully tax-deductible donation to Art on the Corner. Art on the Corner relies heavily on ticket sales at some events and on contributions from individuals, like you, to continue to bring quality arts programming to our corner. 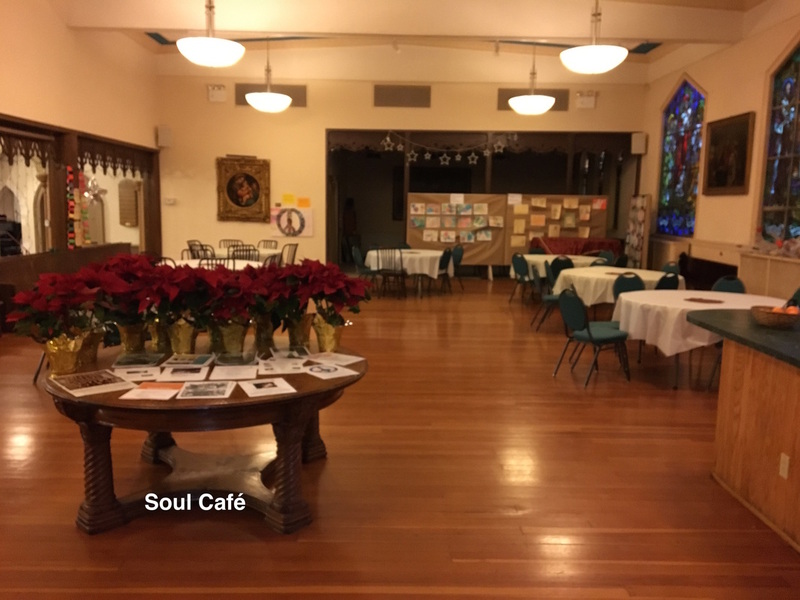 A financial gift from you will help Art on the Corner keep events affordable and continue to fulfill its mission of being the place where the "Community & Arts Meet." if you have questions or require assistance. Alfonso Mugaburo Cid was born and raised in Seville, the heartland of Flamenco music. His mother, an amateur singer from Triana, a Flamenco enclave in Seville, and his grandfather, an aficionado of Flamenco were his earliest influences. Since 1987 he also participated in performances at of one the most significant Flamenco clubs in Andalusia, the Peña Flamenca Torres-Macarena. Since his arrival in New York in 1997, Alfonso has played with the majority of Flamenco artists throughout the country, performing and touring in the tri-state area, Washington D.C., Chicago, Detroit, Kentucky, Toronto, Ottawa, British Columbia, Mexico, Puerto Rico, the United Kingdom and Spain. From 1990 to 1995 Alfonso studied at the Seville Conservatory of Music where he received classical training in flute and music theory and most recently with maestro Paco Taranto and the new talent of Rocío Márquez and Elena Morales at the Cristina Heeren Foundation for Flamenco Art in Sevilla. He released his first CD in 2006, Flamenco de vuelta e ida with his own Flamenco fusion project "Gazpacho Andalú." Bárbara Martínez has been performing since she was a child, debuting as a singer at The Metropolitan Opera at 10 years of age. Born in Venezuela to a family of artists, including singer/actresses Libertad Lamarque and Morenita Rey, she spent her youth performing in opera, off-Broadway and film in New York City. Bárbara turned her focus to flamenco after graduating from Brown University in 1998 (B.A. Honors). She has danced with The Metropolitan Opera in Zeffirelli's productions of Carmen and La Traviata, as a dance soloist in festivals at Lincoln Center, Town Hall and Symphony Space sponsored by the World Music Institute, and has sung for Pilar Rioja at El Repertorio Español in New York City. Bárbara also performs with Spirit of Sepharad, Pasión y Arte, Andrea del Conte Danza España, Sol y Sombra, Oscar Valero Company and Arts Flamenco. She is also a founding member of Fortuna Productions, which has staged a series of avant-garde musical plays by Amelia Arenas. Bárbara recently made her debut at Carnegie (Weill) Hall debut in her new Flamenco Latin Jazz project. Arturo Martínez began playing the electric guitar at the age of 13 in the tradition of Afro American music. In playing the guitar it was logical that he would be drawn to flamenco "the black music" of Spain, because of its Gypsy, Arab and Jewish influences. He has accompanied such famous artists as Jose Molina, Jose Greco, Chuni Amaya, Joaquin Fajardo, Concha Vargas, as well as Maria Alba, Pilar Rioja and Andrea Del Conte. He produces the annual New York Flamenco Festival at the Thiasos Restaurant in New York City, and was a consultant and co-producer for World Music Institute's two concerts of Traditional Flamenco music with renowned artists El Torombo and Concha Vargas. ​​​Ramzi Eledlebi is a versatile performer, dancer, and percussionist. He began his dance career in Lebanon studying with renowned choreographer Wadia Jarrar and the Caracalla dance company. Ramzi has traveled extensively as a sought-after performer of Middle Eastern folk dance, performing and teaching throughout Europe, Asia, and the Middle East. Not only does Ramzi impress audiences with his virtuosity, passion, and knowledge of Arab-word dances and their cultural context, he is also an accomplished percussion player and teacher of tabla, riq, and frame drum. In addition, he is a respected Arts and Education teaching artist and leads public programs throughout the East Coast as Artistic Director of Dance Around the World. Eldibi continues researching and studying dance and music forms and most recently has focused on music and dance of the Arabian Penisula. He is finishing a book which transcribes and analyzes the Penisula's complex rhythmic patterns and song. Zafer Tawil is a virtuoso on 'oud, violin, and qanun, and a master of Arabic percussion. Zafer has performed in concerts across the country, including performances with numerous musicians ranging from Sting to Arab music virtuosos Chab Mami, Simon Shaheen, Bassam Saba and George Ziadeh, to avant-garde composer/performer Elliot Sharpe. He was a featured composer and performer in acclaimed director Jonathan Demme's Oscar-nominated film Rachel Getting Married and is composing and performing for Demme's next film project, Zeitoun, based on Dave Eggers' book about Abdulrahman Zeitoun's post-Hurricane Katrina odyssey. Zafer has worked on many collaboration concerts involving classical Indian and Persian music as well as arab/jazz fusion. Born and raised in East Jerusalem, he has held workshops on Arab music at many institutions and universities across the United States. Taoufiq Ben Amor is a Tunisian vocalist, percussionist and oud player. Taoufiq started learning percussion at an early age, then learned the Malouf (Andalusian repertoire) and sang with ensembles and choirs for many years. Fifteen years ago, he began studying the oud and the Arabic maqam system with various teachers such as Mohamed Labbad, Jamal Aslan and Simon Shaheen. For more than a decade, Taoufiq has been an active performer in the US and Canada and played in various venues including the Joseph Papp Theater, Symphony Space, Cooper Union, the Knitting Factory as well as several campuses. He is involved in several projects including fusion with North Indian, Afro-Brazilian and Iranian musicians. Taoufiq is also an educator, who does research and lecture on the subject and conducts workshops. He founded The Columbia Middle Eastern Music Ensemble and he produces Alwan's Festival of Sacred Music. Taoufiq is a Professor of Arabic at Columbia University.